Three weeks ago, on a clear, bright morning we set off to Grey Mare's Tail in Dumfries and Galloway. The weather had been exceptionally cold for the time of year and the cessation of the snow was an open invitation to get out in the fresh air and do some walking. 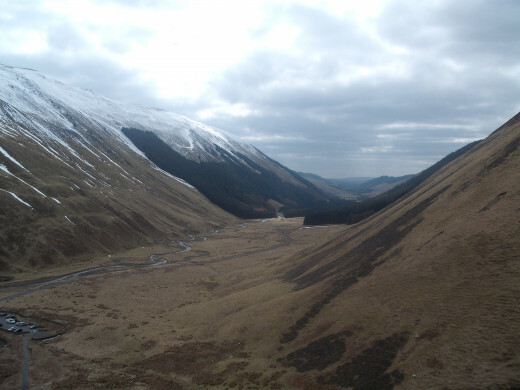 The Grey Mare's Tail is approximately ten miles outside of the borders town of Moffat, and is set amongst the rolling Moffat hills. 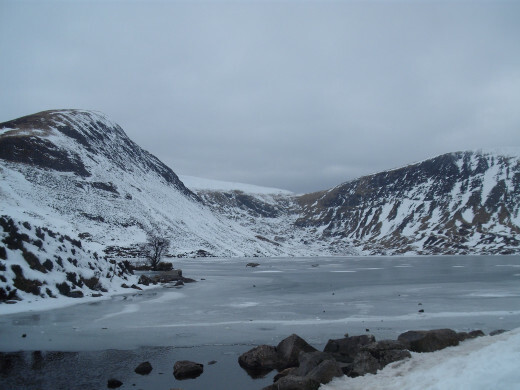 The Grey Mare's Tail Nature Reserve is managed by the National Trust for Scotland . They are a conservation charity, who carry out invaluable work for our countryside. Being an independent charity, they rely on the participation and funding, provided by their supporters and members. 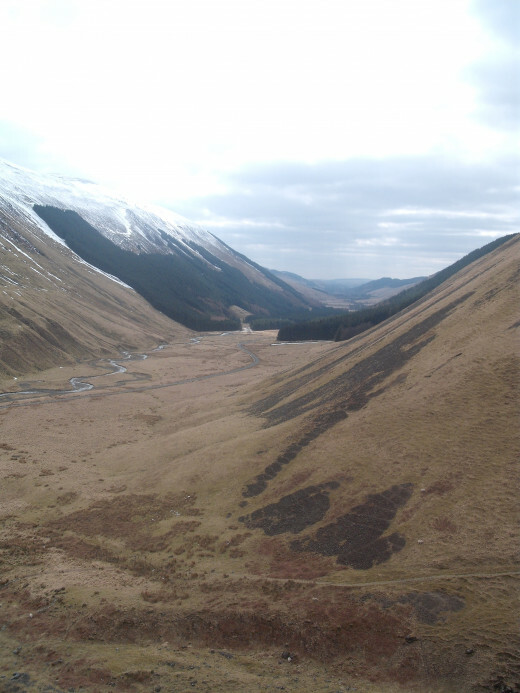 In the summer months, the National Trust has a trailer situated within the Grey Mare's Tail car park and a ranger is available to provide information on the area. The day we visited, upon leaving the car park, we ascended onto the steep, rocky path heading up towards the falls. When walking up that pathway, if you look downwards you gain a perspective of how high you actually are. In the picture below you can see the car park in the bottom left hand side, seeing this had caused me to take a sharp intake of breath on the day, as I realised how high we had climbed. The path is uneven and narrow and careful attention is definitely needed. As we ascended to a certain level on the path, we were also lucky enough to witness a close up view of the falls. The steep, rocky path then continued upwards towards Loch Skeen. 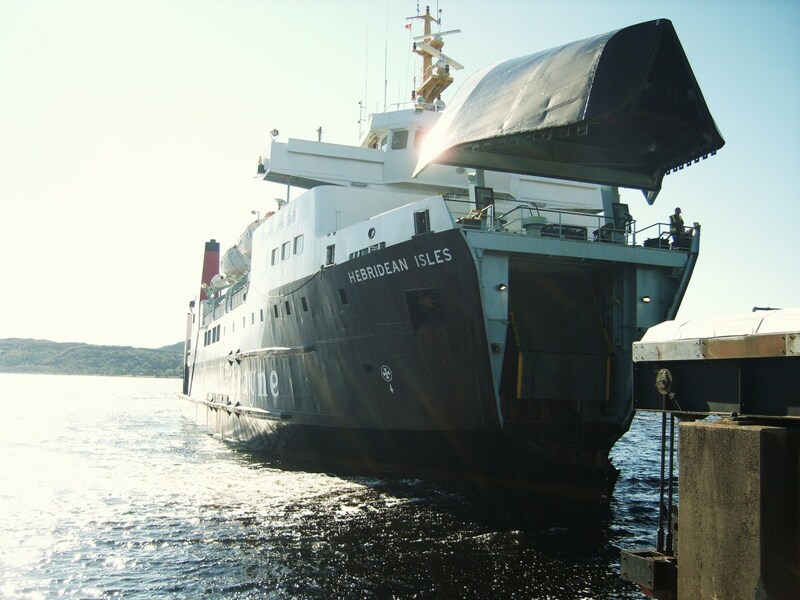 Have you visited Scotland and it's countryside? The area is very rich in both plant life and wildlife and is home to many rare upland plants. There are ongoing conservation projects within the nature reserve. 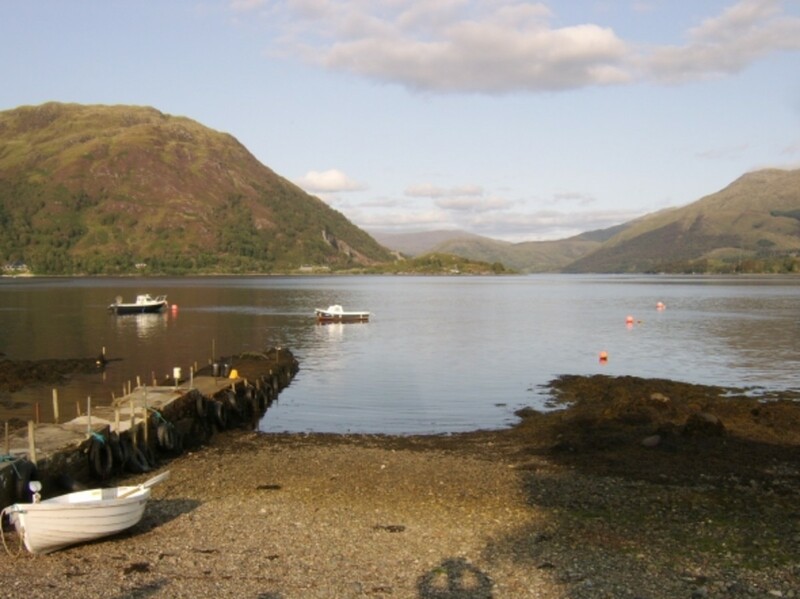 One success story of the conservation projects, which have been undertaken, is the introduction of Britain's rarest freshwater fish to the loch in 1997 and 1999. The vendace, which is thought to date back to the Ice Age, was facing extinction and it's future looked uncertain. It was transported from the Lake District to Loch Skeen in an attempt to grow it's numbers, it not only survived the introduction to it's new home but flourished. Thankfully now its prospects are improving. The reserve is also home to many species of birds including nesting Peregrine Falcons. Whilst feral goats wander freely amongst the hills. Ascending to higher ground there is also the possibility of spotting some mountain hares. 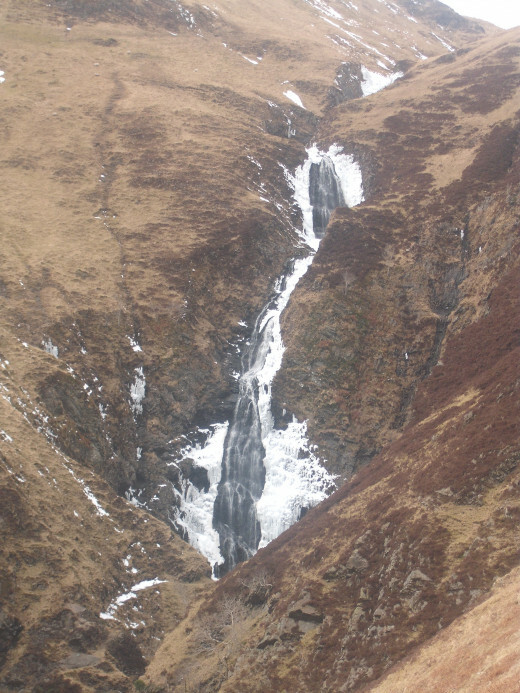 The Grey Mare's Tail waterfall, the Tail Burn is an incredible spectacle. It is a hanging waterfall with a sixty metre drop, making it the fifth highest in the United Kingdom. The thundering noise as you are climbing past the tumbling water is quite mesmerising and it reminds you of the incredible force and power of the water. 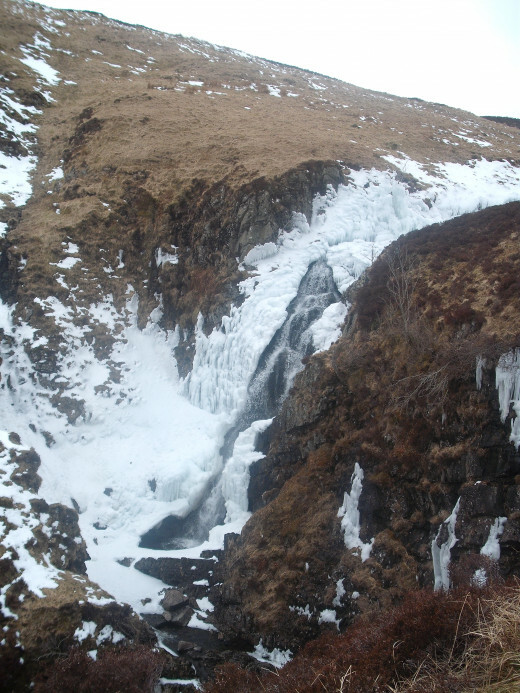 On the day we visited the waterfall, it had actually frozen on both sides due to the adverse temperatures. This had produced huge areas of solid, frozen water and spectacular icicles. With it's beautiful scenery and the awe inspiring power of the cascading water the falls are a true force of nature. In the past they have proven to be a huge lure for many great, creative minds looking for inspiration. It was perhaps visited for that very reason by the artistic scholar Sir Walter Scott. Sir Walter was so encapsulated by the majesty of the area he dedicated a section of his famous poem Marmion to the waterfall and the beauty surrounding it. 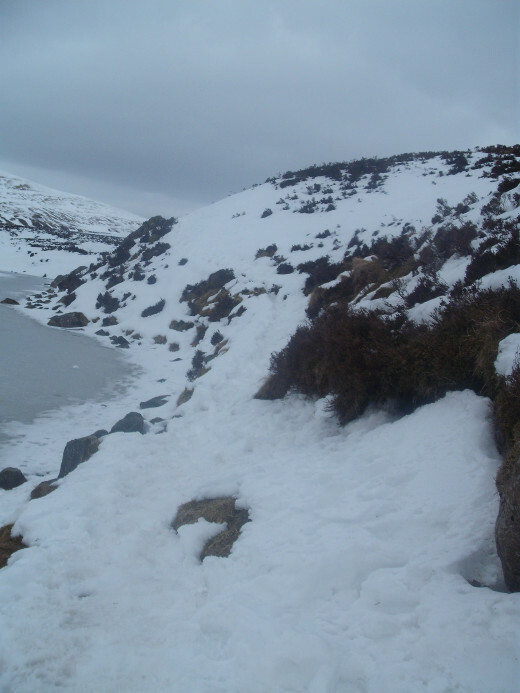 Due to the deep snow in some areas on the upwards path, it took approximately ninety five minutes to reach Loch Skeen. The snow in some areas of the path was three feet deep, and coupled with the flowing downwards streams it made it quite arduous in parts and very slippy. The loch which stood before us had been forged by successive glacier movements over thousands of years. The glaciers movements sculpted out the deep valley, in which the Tail Burn drops 200 feet downwards today. The sight which lay before us was awe inspiring. 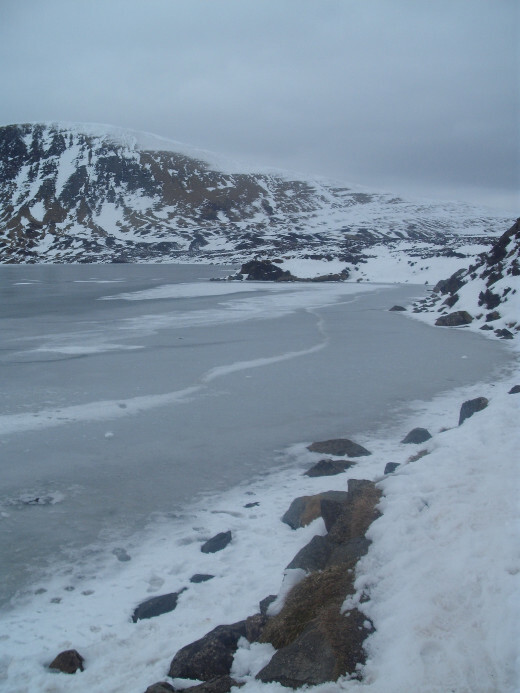 On our first view of Loch Skeen, the long walk and deep snow were immediately forgotten. 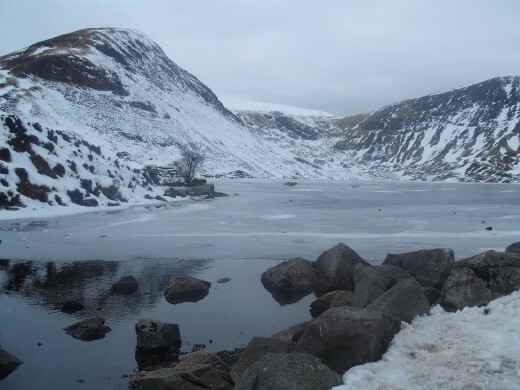 Loch Skeen stands 500 metres above sea level and is a large loch of clear, blue unspoilt water. It is surrounded by towering hills, including White Coomb, which is the highest hill in Dumfriesshire and stands at 821 metres. 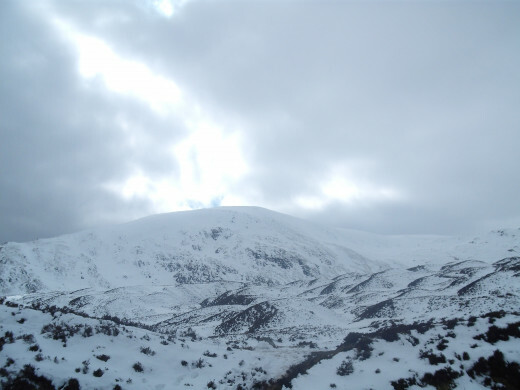 As we looked around that day, the snow lay thick on the loch shores and the surrounding hills. 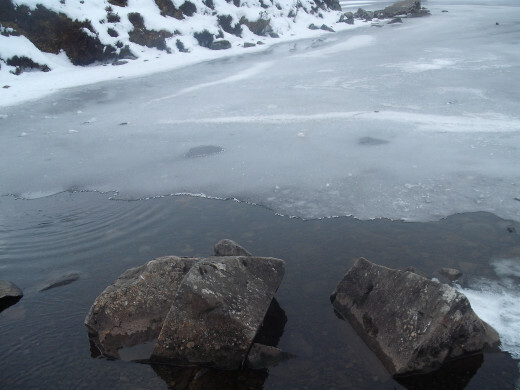 The loch itself had frozen over due to the freezing temperatures, with only a small area of ice cold water visible. Large boulders lay scattered in the water, which would probably have been lying there since the time of the last glaciers. That day we had walked amongst the beautiful hills, with the sound of the tumbling water in our ears, and then we reached Loch Skeen. As we stood on the snow covered ground, gazing at the frozen loch, with the boulders the glaciers had left. We could not help but feel, that we stood in a magical place. A place that fortunately, had not been changed by either man or by time. How Would You Rate Loch Skeen as a Tourist Attraction? The Highlands were brilliant as always. I have a plethora of half written work lurking waiting; that I can't seem to find the time to get to. Time is definitely a precious commodity! Seriously though, thank you again R.Q. your support and feedback are appreciated. The trees are nice :) Hope you had a really great time in the mysteriously dreamy Highlands. Lol! No; I'm not in receipt of your password - must be one of those happy coincidences that seem to be happening more, and more often recently. Certainly look forward to your new articles, and you're not wrong regarding the time factor, and you're always welcome, because you always produce such fascinating, and diverse pieces. Time seems to be in ever shorter supply! Thank you for using some of yours to read and comment on my hub. P.S. Have you ever been as far as the Highlands Anna, as the South-West looks pretty amazing, which you've presented with your stunning photography? Absolutely gorgeous pictures and wonderful descriptions! Thanks so much for sharing. 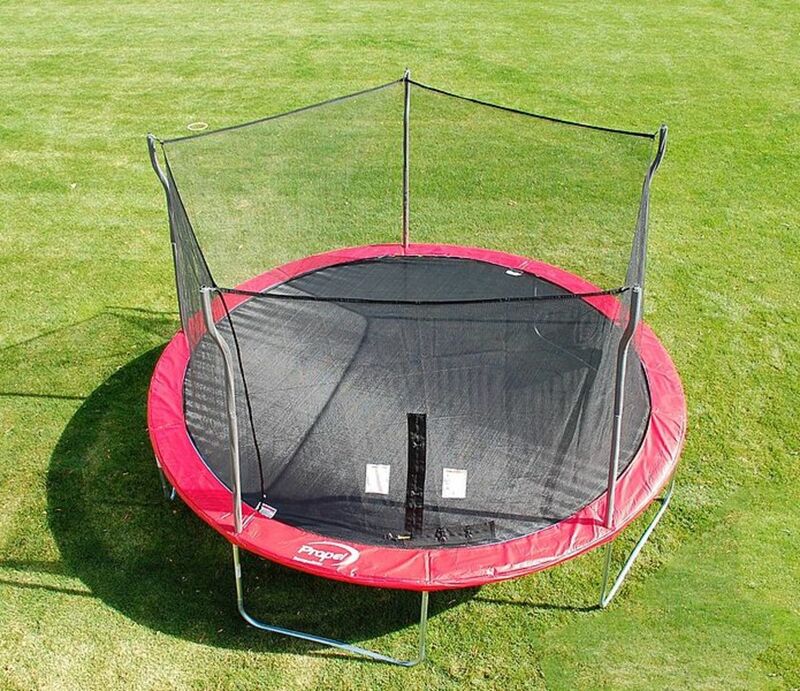 Hi thankyou LKMore01 for reading, I am sure you would like it. It really is a beautiful, special place, untouched by time and hidden from our chaotic world! Your photographs are stunning. This is beautiful. There is not a soul I know who wouldn't want to breathe the crisp clean air, touch everything in sight and have all of their senses come ALIVE by being there. Thank you so much for sharing this amazing journey with us. I have yet to go to Scotland, but I want to get there to see these winter sights, as well as the beauty of the hills in the summer. It really sounds like a dream. Hi kidscrafts :) Thankyou for taking the time to read and comment. You are right it is totally different in summer. We have been before and it is very green and alive, with lots of heather around as well. Thank you Anna for this lovely tour! It must be quite interesting to do the same tour at different seasons because I suppose the colours must change quite a bit from one season to the next with all the plants and the flowers! Thank you for sharing your tour and all your pictures! Awesome! I love your answer. You could have also responded that you felt isolated and alone in the world. I like the inspiration the experience had for you. I love that you felt in tune with the history and emotions behind what you saw. Interesting question, I am a spiritual soul and I do liked my meditation, it was kind of like that meditative feeling. I felt part of everything and connected. I was in awe, that it was exactly as it had been centuries ago, untouched or changed and I felt peaceful. I felt good. That's what I envisioned in my mind.... complete silence. Here comes another writer's question, but I'm curious - how did that silence make you feel? The noise of the falls was loud when near them on the rocky path up. There was the noise from our feet over the rocks and the crunching from the deep hardened snow. There was the occasional bird noise and the noise from flowing downfalling hill streams but no wind, it was very calming. At Loch Skeen, we were the only people there, and there wasn't a single sound. Complete, beautiful silence. Anna, this is so pretty. What sounds did you hear as you were going on your walk? Thank you for this interesting and beautiful tour. My kind of walk - rugged and snowy! Beautifully written. I plan to travel to Scotland at some point and will have to put this on my list of places to see. I am sure you would love it, and I hope that one day that you can walk amongst those frozen hills too. It really is beautiful, it is like time has stood still and you are viewing everything, as it was centuries before.